A selection of full-length presentations is now available from our YouTube Channel! Videos can be viewed from the playlist on the top right corner of this page, or from the YouTube playlist here. The Coral Reef Futures symposium of the ARC Centre of Excellence for Coral Reef Studies will be held at the Gallery of Modern Art, Brisbane on the 19th and 20th July, 2018. In the immediate aftermath of a multi-year global bleaching event, the need for coral reef research has never been greater. In 2017, we witnessed the first back-to-back bleaching event on the Great Barrier Reef, resulting in unprecedented damage to two-thirds of this iconic World Heritage Area. Returning coral reef systems to their former composition is not possible. The objective is for research to inform and support reef governance and management to navigate the transition to new ecosystems that will maintain biodiversity, biological functions and support human well-being. A 2-day symposium will be held on Thursday 19th and Friday 20th July, with more than 30 presentations by leading scientists. The symposium is aimed at a general audience of scientists in related fields, natural resource managers, conservationists and policy makers. 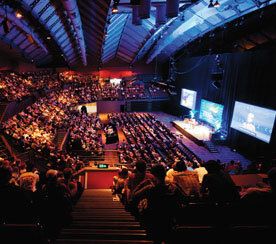 The symposium will be held at The Gallery of Modern Art, Brisbane. “SOLD OUT” A Public Forum is scheduled for Thursday, 19th July. This year’s host is Adam Spencer, popular media presenter, well known as the quirky intellectual host of ABC’s enormously successful 702 Breakfast radio show from 2006 until early 2014. This event is intended for everyone: the general public, teachers and school children (10+) as well as scientists, resource managers and policy-makers. Can’t make it to Brisbane, catch the entertaining discussion via Facebook Live at 6pm (AEST)/ 9am (BST). Register your questions to the panel in advance via Sli.do until 5pm, 18th July (AEST). Maja is a leader of Program 3 in the ARC Centre of Excellence for Coral Reef Studies. From 2007-2015, she was a group leader at the Sars International Centre for Marine Molecular Biology in Bergen, Norway. She is now a Lab Leader, Associate Professor and Future Fellow in the Research School of Biology, Australian National University. Her group studies genomic and evolutionary basis of animal development, homeostasis and repair mechanisms, using sponges and corals as main model systems. David is a Chief Investigator in the ARC Centre of Excellence for Coral Reef Studies and a Distinguished Professor of Marine Biology at James Cook University. He has broad research interests in the evolution and ecology of coral reef fishes with over 300 articles in leading international journals. A recipient of the IPFC Bleeker Award, AMSA Jubilee Award and a Fellow of the Australian Academy of Sciences, David pioneered the application of ecosystem function approaches to the study of coral reefs. His current research focuses on the ecosystem impacts of biodiversity loss and climate change, with the goal of developing new approaches to the management of coral reefs. Brock hails from the frozen forests and tundra of northern Minnesota, where he spent most of his time wandering in the wilderness, either hunting, fishing, or gathering. Although he grew up in the nexus of conservation and resource extraction, he didn’t identify his professional passion and niche until he witnessed the “paper parks” phenomenon firsthand. Watching a coral reef being decimated inside a no-take marine reserve drastically highlighted the simple fact that conservation is more about managing people than it is about managing natural populations. Since then, Brock has become into an inter-disciplinary researcher who spends most of his professional time thinking about poachers, illegal fishing, and behaviour change. Brock recently began a postdoctoral research fellowship position with CSIRO to examine the human dimensions of Illegal, Unreported, and Unregulated (IUU) fishing and its links to other types of illegal behaviour including human trafficking, rights and labour abuses, and other transnational organised crimes. Katrina is Professor of Social Science at the University of Exeter, UK, working at the interface between international development, environmental change and resilience. Her research focuses on how individuals and societies understand and respond to change, and their different capacities for adaptation and transformation. Committed to interdisciplinary research on sustainability, she has led several international research teams to examine environmental change and poverty alleviation in developing countries. Her 2016 book, ‘Resilience, Development and Global Change’ develops a human-centred perspective on resilience for development, highlighting resistance, rootedness and resourcefulness. Severine is a Quantitative Ecological Modeller at the Centre’s James Cook University node. Following undergraduate training in France, she was awarded a PhD in physics and mathematics from James Cook University in 2011. She has gained extensive experience in physical oceanography, specialising in the analysis of ocean observations, satellite imagery, and the development of physical and bio-physical models with individual-based biological components. Severine’s research explores the ecological and conservation implication of larval dispersal organisms. Josh’s research explores how social, economic, and cultural factors influence the ways in which people use, perceive, and govern natural resources. His background is in human geography and he often works closely with ecologists to uncover complex linkages between social and ecological systems. He has worked on human dimensions of resource management in Australia, Jamaica, Mexico, Papua New Guinea, Kenya, Madagascar, Tanzania, Mauritius, Seychelles, Indonesia, Mozambique, and the USA and has published >120 peer-reviewed journal articles. Josh is an ARC Future Fellow, a recipient of the 2015 Pew Fellowship in Marine Conservation, received the 2017 Elinor Ostrom Award on collective governance of the commons, and the 2018 Mid-Career Award from the International Society for Reef Studies. Peter is a Senior Research fellow in Ecosystem Dynamics at the ARC Centre of Excellence for Coral Reef Research. Previously, he has held post-doctoral positions at the Australian National University, Canberra and Yale University, USA. His research leverages large genetic databases to explore the evolutionary history of reef fish assemblages and to examine correlations between life history, environmental factors and genomic change across the Tree of Life. In 2017, he was awarded an ARC DECRA Fellowship for his project “Biodiversity, biogeography and molecular evolution on tropical reefs”. This research focuses on generating new genomic data for corals and fishes to reconstruct their evolutionary history using phylogenetic methods to provide a framework to explore their ecology and biogeography. Sean is a Leader of Research Program 2 in the ARC Centre of Excellence for Coral Reef Studies. Sean combines mathematical and statistical modelling with fieldwork and laboratory experiments to study the dynamics of biological turnover at all scales, including ecophysiology, population dynamics, species interactions and biodiversity, and macroevolution. Sean has >100 publications in leading international journals, including 7 papers in Science or Nature. In 2008, he was awarded an ARC Australian Professorial Fellowship, and in 2009, the Fenner Medal of the Australian Academy of Science, which honours outstanding research in the biological sciences by a scientist under 40. Sean has also received two national Citations for Outstanding Contributions to Student Learning, in 2006 and 2014, and was named JCU’s Adviser of the Year in 2017. 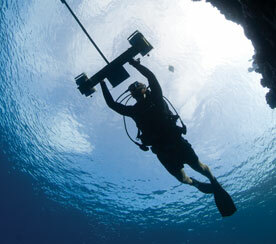 Graeme is a coral reef research leader in the ARC Centre of Excellence for Coral Reef Studies. He joined the Centre in 2015 from the University of Cape Town in South Africa. He has a diverse range of interests that are centered on the relevance of broad-scale pattern-process dynamics for ecosystem (and social-ecological system) function and resilience. His current research focuses on scale, spatial relationships, and the applications of landscape ecology and complexity theory to questions of the sustainability of natural resource management systems, particularly protected areas. He is also working closely with sociologists and political scientists on questions of institutional structure, process, and governance in natural resource management contexts. Tom joined the ARC Centre of Excellence for Coral Reef Studies at UWA after receiving his PhD from Woods Hole Oceanographic Institution in 2017. His research focuses on understanding the mechanisms of coral sensitivity to ocean acidification and warming. In the laboratory, Tom is employing novel techniques based on the scattering of lasers focused onto coral skeletons to quantify the chemical conditions of the micro-scale fluid where the skeleton is accreted, which is providing new insights into the effects of seawater acidity and temperature on coral skeletal growth. Additionally, Tom has joined research cruises in the Great Barrier Reef and Coral Sea to collect skeletal cores from long-lived corals. Reading the history of thermal stress recorded within these skeletons is unlocking clues as to how some corals have survived two centuries of climate change and human impacts. Jenni is Research Fellow at the ARC Centre of Excellence for Coral Reef Studies, in collaboration with the King Abdullah University of Science and Technology (KAUST). Jennifer’s research focuses on exploring the plastic capacity of reef fish to environmental change. She is particularly interested in how exposure of previous generations influences the phenotype of the current generation, and more broadly how this could impact species responses to future climate change. Sophie is a Chief Investigator with the ARC Centre of Excellence for Coral Reef Studies undertaking research in the School of Biological Sciences at the University of Queensland. She is an expert in the photobiology of reef-building corals and leads a growing laboratory that is focused on how the carbonate balance of reefs will fare under future warming and acidification. Her investigations on the carbonate balance of reefs monitor the responses of mesocosms, calcifers such as corals and bioeroders such as sponges. Hugo is molecular ecologist working at the interface of coral reef ecology, fisheries sciences and populations genetics. Hugo’s work on larval dispersal has led to major advances in our understanding of movement patterns in marine fishes, which is relevant to the optimal design of networks of marine protected areas. His research brings a unique perspective and a unique set of tools to resolve the population dynamics of marine organisms that have real impact in the conservation of marine ecosystems and the sustainable use of marine resources. In 2016, Hugo was awarded an ARC DECRA Fellowship to develop a mechanistic understanding of connectivity and dispersal in marine organisms. His research aims to identify critical regions that will enhance the value of marine resources and identify vulnerable regions in the conservation and management of the Great Barrier Reef Marine Park and Coral Sea Marine Park. Terry is the Director of the ARC Centre of Excellence for Coral Reef Studies and an Australian Laureate Fellow (2012-2017). His research focuses on the linkages between the ecology of reefs and their importance for societies and economies. 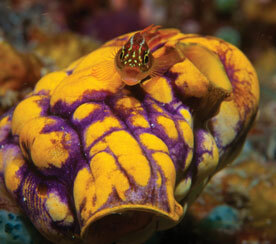 He has worked extensively in Australia, the Coral Triangle Region, and in the Caribbean. An important aspect of his research is understanding the dynamics and resilience of coral reefs, and translating this knowledge into innovative and practical solutions for improved reef management. Terry is a Fellow of the Australian Academy of Science. He is a Clarivate’s Highly Cited Researcher, and was recognized in 2008 by the International Coral Reef Society, with the award of the society’s Darwin Medal. In 2014, he was awarded an Einstein Professorship by the Chinese Academy of Science, and in 2016 Terry was recognised by Nature magazine as one of Nature’s 10 – ‘Ten people who mattered this year.’ In June, Prince Albert II of Monaco presented Terry with the 2018 Climate Change Award for his contribution to advancing understanding of the influence of rapid climate change on the world’s coral reefs. Geoff is a Professor in the College of Science and Engineering and a member of the ARC Centre of Excellence for Coral Reef Studies at James Cook University. Geoff is one of the world’s most cited authors in the fields of coral reef ecology and marine conservation biology, with over 270 refereed scientific publications in peer-reviewed journals and books. His special interests are in the processes determining the structure and dynamics of reef fish populations, and strategies to reduce human impacts on threatened fish species. He maintains a strong research focus on marine population connectivity and its implications for the ecology, conservation and management of reef fish populations. He has supervised over 150 graduate students. The Jones Lab maintains a research-base at the Mahonia Na Dari Research and Conservation Centre in Papua New Guinea. Andrew is an ARC DECRA fellow and Lecturer in Climate Science at the School of Earth Sciences, University of Melbourne. Andrew is interested in the effects of climate change and variability on extremes. His ARC DECRA project will focus on improving the seasonal prediction of climate extremes in Australia. Andrew was awarded his PhD in Climate Science from UNSW in 2015 and received his undergraduate degree in Meteorology from the University of Reading in 2011. To find out more about Andrew, visit his website: andrewdking.weebly.com. Danika is a Research Fellow in Governance of small scale fisheries at the ARC Centre of Excellence for Coral Reef Studies and WorldFish. Danika has woven together her background in women’s studies and biology, which has led her to specialize in socio-ecological research approaches to natural resource management. She is particularly interested in applied research related to gender, small-scale fisheries, and participatory governance. Catherine is Professor in the School of Biological Sciences at The University of Queensland. Her research focuses on climate change and coastal plant communities, fundamental metabolic and physiological processes of marine plant communities and the impacts of nutrient enrichment on coastal ecosystems. She is a member of the International Scientific Blue Carbon Working Group of The Blue Carbon Initiative. She led the Climate Change Adaptation for Natural Resource Management project for the east coast of Australia and was work package leader for the CSIRO Coastal Carbon Biogeochemistry Cluster. She was a member of the Reef Advisory Committee for Catchments and Coasts of the Great Barrier Reef Marine Park Authority and is Lead Author for Wetlands chapter of the IPCC 2019 Refinement for National Greenhouse Gas Inventories. Ryan is a Program Leader of the ARC Centre of Excellence for Coral Reef Studies, and a Professor at the University of Western Australia. He has a unique background in coastal oceanography and environmental engineering that enables him to tackle complex (and often multidisciplinary) research problems in coral reef systems. 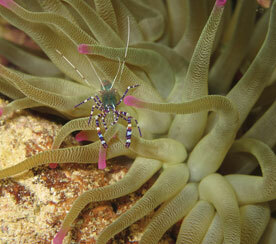 Major areas of research focus include: understanding how ocean dynamics drive physical and other environmental variability within coral reefs; how these dynamics influence a range of complex biophysical processes, and finally how these processes can be numerically predicted and accurately forecast into the future. Malcolm is a Deputy Director of the ARC Centre and an Australian Laureate Fellow (2013-2018) at the University of Western Australia. Malcolm’s research interests focus on the modern part of the marine record using isotopic and trace element geochemical methods to determine how climate and anthropogenic processes have influenced both past and present marine environments with particular emphasis on coral reefs. Malcolm has received a number of prestigious awards, in 2010 he was elected as a Fellow to The Royal Society and is a Fellow of the Australian Academy of Science (2004), the Geological Society of Australia (2007), the Geochemical Society (2008) and the American Geophysical Union (2002). In 2009 he was awarded the Jaeger Medal and in 2017 the Ringwood medal for his career achievements in the Earth Sciences. Malcolm is an ISI Highly Cited Researcher and has published over 300 scientific papers in leading international journals including 26 in Science and Nature. David Miller’s work is aimed at understanding how corals and the coral holobiont (the coral animal and its associated symbionts and bacteria) function at the molecular level. Major advances in DNA sequencing technology over the last few years mean that these are now realistic and achievable goals. David’s laboratory and those of his collaborators have pioneered the use of Acropora millepora as a model coral for gene expression analysis, enabling substantial advances to be made in understanding some general principles of coral biology. The coral genome has also provided some remarkable and surprising insights into the general principles of development and genome evolution in the animal kingdom. Tiffany is a leader of Research Program 1 People and Ecosystems in the ARC Centre of Excellence for Coral Reef Studies. Tiffany combines insights from political science, human geography, and in-depth field research to study the design and implementation of complex environmental governance regimes. She has worked extensively in Australia, Asia, and the US. Prior to joining the ARC Centre of Excellence, Tiffany was on faculty at the University of Queensland where she co-led an ARC Super Science team of ecologists, geographers, planners, economists, and lawyers studying the complex governance of climate adaptation. The current focus of her program at James Cook University is on uncovering hidden political levers for improving the design and implementation of polycentric environmental governance regimes. She has published on this topic in Nature, PNAS, and Global Environmental Change. Peter began his career helping to design marine reserves in Belize and experienced first hand the limited scientific basis for decision-making. He then began a research pathway with a goal of providing science that can inform practical conservation and management action. His research combines field observations, experiments, remote sensing and ecological modelling to answer questions about ecosystem resilience, impacts of climate change, marine reserve functioning and design, connectivity of ecosystems, coral reef fisheries and marine spatial planning to capture ecosystem services. To achieve this, Peter’s students and post-docs work on a variety of taxa and processes including corals, algae, sponges, herbivory, predatory fishes, food web models, metapopulation models, and so on. He collaborates extensively with friends in other fields including economics, engineering, oceanography and business. Peter undertook a PhD at the University of Sheffield (UK), followed by a NERC Post-doctoral fellowship at the University of Newcastle. This was followed by a Royal Society fellowship at the University of Exeter (UK), and a move to Brisbane to take up a prestigious ARC Laureate Fellowship in 2010. Peter is a Pew Fellow in Marine Conservation and winner of the Rosenstiel Award for Contributions to Marine Biology, Marsh Award for Marine Conservation, and the inaugural ISRS Mid-Career Award for contributions to reef science. 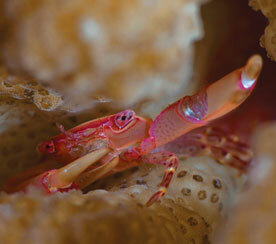 He is happiest on a coral reef with a camera in his hands. John is a Program Leader in the ARC Centre of Excellence for Coral Reef Studies, and is a Professor in the School of Biological Sciences, and Centre for Marine Science, The University of Queensland. He has broad research interests in marine palaeoecology, with emphasis on the effects of anthropogenic impacts and climate change on the recent past history of modern coral reefs. His research on the ecology of the Great Barrier Reef provides insight into how past marine ecosystems function in the absence of humans, providing reef managers with important historical context. He has published over 150 scientific articles in leading international journals, including Science and Nature. John was recently elected Fellow of both the Paleontological Society and the International Society for Reef Studies. Morgan is a Professorial Research Fellow in the ARC Centre of Excellence for Coral Reef Studies, based at James Cook University, Townsville. He has broad interests in population and community ecology of coral reef organisms, especially corals and fishes. His current research focuses on major disturbances that impact coral reef ecosystems, with a view to understanding differential responses and vulnerabilities among coral reef organisms. Morgan has written many papers describing direct and indirect effects of coral bleaching and outbreaks of crown-of-thorns starfish, considering impacts on both coral assemblages and associated assemblages of coral reef fishes. He has also conducted extensive research on the biology and ecology of coral reef butterflyfishes. Garry is a Chief Investigator in the ARC Centre of Excellence for Coral Reef Studies and a Professor in Marine Biology at James Cook University. Garry studies the biology of reef fish of commercial and recreational fishing significance on Australia’s Great Barrier Reef and in the Coral Triangle. A major area of his applied research is the use of no-take marine reserves as fisheries management tools. He is undertaking long-term (35 year) studies of coral reef fish assemblages inside and outside marine reserves in the Philippines. Garry has over 150 publications, including 115 papers in international journals. In 1999, he received a prestigious Pew Fellowship in Marine Conservation jointly with his long-time colleague Dr Angel Alcala. Verena is a Program leader in the ARC Centre of Excellence for Coral Reef Studies at the University of Western Australia. Originally from Austria, Verena obtained a Bachelor’s degree in Biology and a Master’s degree in Zoology from the University of Innsbruck, and then a PhD in Geological Sciences from The Ohio State University where she studied the impacts of combined climate change stressors on coral physiology and biogeochemistry. Verena’s current research focuses on the heat tolerance of corals from the naturally extreme Kimberley region as well as coral calcification mechanisms under various climate change stressors. Andrew is a research fellow at the ARC Centre of Excellence for Coral Reef Studies, James Cook University, Australia, who holds broad interest in the governance and geography of small-scale fisheries. His current research focuses on trans-boundary, multi-scalar, and inter-organizational issues as they relate to community-based fisheries management, IUU fishing, and human rights-based approach. Also affiliated with WorldFish, he has worked in various inland and marine fishery settings including the Philippines, the African and Laurentian Great Lakes, Atlantic Canada, South Korea, and most recently the Pacific islands. David is the Chief Scientist at the Great Barrier Marine Park Authority. Working at the Authority since 1997, he has covered a diverse range of Marine Park management challenges, including: adapting Marine Park management to climate change, including improvements to resilience-based management; science and spatial analysis to support the development, implementation and monitoring of Marine Park zoning; state of the environment and outlook reporting; working with fishers and fisheries managers to improve sustainability of fishing activities; improving tactical responses to crown-of-thorns starfish outbreaks; development of reef restoration techniques; prioritising coastal ecosystems for protection and restoration; and improving catchment management to reduce pollution to the Reef. He has dived on coral reefs all around the world, conducting research, taking photographs, teaching people and working to protect the environment. In 1993, he completed a PhD studying the behaviour and ecology of coral reef triggerfish in the Red Sea and Indian Ocean. Although his career has concentrated on coral reef management, he has also worked in reef tourism and science. Jessica is a marine scientist interested in multidisciplinary research on ecosystem dynamics, fisheries science, and natural resource management. She has worked on related topics in Spain, Mexico, Portugal and the Netherlands. These experiences led her to Australia to pursue a Master’s degree of Fisheries Biology and Management, where she used mathematical models and network theory to increase our knowledge of how reserve networks should be designed to promote the persistence of marine meta-populations. Currently, Jessica is at James Cook University and the ARC Centre of Excellence for Coral Reef Studies completing a PhD. Her research combines statistical and ecological models with empirical data to understand how many, and what type of fish we can sustainably harvest from a reef before compromising the ecosystem functioning. Overall, Jessica’s research is furthering our understanding of the productivity of reefs, the current functional state and drivers of the world´s coral reef ecosystems, and expects to provide tangible multi-species coral reef fisheries management recommendations. Venue: The Gallery of Modern Art, Brisbane. Adam Spencer is probably best known as a popular media presenter, the quirky intellectual host of ABC’s enormously successful 702 Breakfast radio show from 2006 until early 2014. In February 2014, Adam was appointed as the University of Sydney’s Mathematics and Science Ambassador, the first time such a role has been created at an Australian university. Adam’s goal is to inspire students to realise both the enjoyment and opportunities maths offers. He is highly intellectual and highly engaging, with a quick wit and down-to-earth style that appeals to a broad range of audiences. When we think about the Great Barrier Reef, we typically think of sunny, shallow coral reef environments. However, shallow reefs occupy only 7% of the Great Barrier Reef World Heritage Area. Here, I will discuss some of the fascinating and diverse habitats included in ‘the other 93%’ of the Great Barrier Reef Marine Park. In particular, I will focus on the ‘twilight zone;’ reefs that occur in low light but support a high diversity of unique and interesting species that are only just beginning to be explored using newly-developed technology. Tom is originally from Sydney, Australia, and completed an honours degree in Marine Science at the University of Sydney in 2005. He completed his PhD research on the benthic ecology of mesophotic coral ecosystems on the Great Barrier Reef. Tom has a broad interest in the biodiversity and biogeography of corals reefs across multiple spatial and temporal scales, particularly on understanding coral reef biodiversity in deeper waters beyond conventional SCUBA diving depths. Tom is currently an ARC Discovery Early Career Researcher Award (DECRA) Fellow at the ARC Centre of Excellence for Coral Reef Studies at James Cook University and Senior Curator of Corals at the Queensland Museum, based at QM’s Museum of Tropical Queensland campus in Townsville. Seagrass meadows in the Great Barrier Reef often bounce back after major disasters, such as cyclones and flooding. How do they recover? In this talk, Alana will reveal the complex oceanographic and biological processes that support seagrass recovery. It’s a lot more smellier then you might think! Alana Grech is Assistant Director of the ARC Centre of Excellence for Coral Reef Studies. She has a broad interest in the development and application of spatial technologies in conservation decision making. Specifically, Alana’s research develops new methodologies for cumulative impact assessment (CIA), and explores the implications of CIA in environmental decision-making, policy and practice in the Great Barrier Reef and Torres Strait. Why should we care about 1.5 degrees? There is a number that is fast becoming most important to everything we do. It is a number which, if exceeded, will have enormous implications for ecosystems and economies. That number is 1.5° Celicus and is the temperature beyond the Pre-Industrial Period above which we lose the opportunity to stabilise the climate and avoid a planetary disaster. While daunting, the good news is that we have time to avert this disaster – but only if we take the extraordinary measure to reduce greenhouse gas emissions to zero within the next 3 decades. Possible? Hopefully, this contribution to the panel will spark some useful debate. Prof Ove Hoegh-Guldberg is a Deputy Director in the ARC Centre of Excellence for Coral Reef Studies, Director of the Global Change Institute at the University of Queensland, and an Australian Laureate Fellow (2013-2019). He has published over 330 scientific papers on a broad range of topics including the physiology and ecology of plant-animal symbioses, co-evolution, coral bleaching and climate change. More recently, Ove has been a coordinating lead author for the UN Intergovernmental Panel on Climate Change (IPCC), helping form the current scientific consensus on the risks and impacts of climate change on life across our planet. Ove was elected as a Fellow of the Australian Academy of Science in 2013 and was awarded the Prince Albert II prize for climate change in 2014. The world’s oceans are becoming warmer and more acidic due to the burning of fossil fuels. This creates an environment that is harmful to fish, affecting their behaviour and physical condition. But the effects of climate change can vary depending on the fish and its habitat. How do these differences affect fish’s ability to adapt to future conditions? Taryn’s research seeks to answer these questions and more. 11 safe havens for baby sharks? Marine protected areas provide some of the ‘best case scenarios’ for sharks and are growing in size and popularity worldwide. Today, nearly 16 million square km of the oceans are designated shark sanctuaries. This is critical because at least 50% of shark and ray species are overexploited, threatened, or facing extinction. But even the best-managed marine protected areas, like the Great Barrier Reef, are not immune to climate change. How do reef sharks cope with climate change stressors, and what other stressors make the case even worse for them? What can we do to take the pressure off these important predators and make marine protected areas as effective as possible? 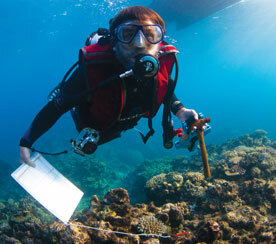 Jodie is a Principal Research Fellow at the ARC Centre of Excellence for Coral Reef Studies. Her research investigates physiological “athletic” performance in fish, including sharks and rays, and specifically how they respond to human-induced stress, like climate change, and their capacity for acclimation and adaptation over time. Jodie also emphasizes in her work the importance of leadership, being a good role model, and communication – especially with young girls and minorities wanting to pursue careers in science. She also advocates for effectively communicating science to a broad audience so that decision making regarding marine and coral reef conservation can be evidence-based.